Teams of 4-5 youths in several cars took part in a road trip, driving through four Leader areas engaging in different tasks along the way. The teams got to know rural Finland, its culture, nature and development projects. The project was based on the idea of finding more inspiring ways to encourage young people to engage in Leader and rural development. It was suggested to use the form of a contest through a car rally and tasks related to Leader projects and to invite youth from Finland and other countries to participate. The idea was developed in cooperation with youth representatives from the Leader areas involved. The main objective of this Leader initiative was to raise awareness of rural development and rural Finland among youth within Finland and Europe. A longer-term goal associated with the project will be to organise similar events in other countries on a yearly basis. 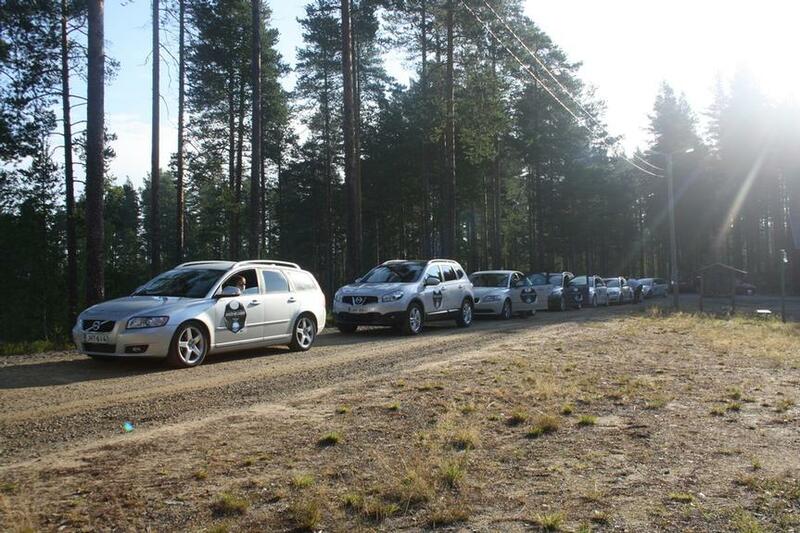 Several cars with mixed youth teams, equipped with navigation and communication equipment, drove 1500 km through four Leader areas in rural Finland. Along the route the cars made stops to take part in practical tasks related to rural development and local Finnish culture. In the evenings the teams gathered in joint activities and discussions about rural development. Each participant planted two trees during the last day as a way to compensate for the effect of the car trip on the climate. As a result of the project participants from other European countries as well as local associations became more aware of Finnish Leader initiatives and were able to make international contacts. Beneficiaries of the project were the young participants themselves and local associations and NGO's who helped run the project. This successful event is a new and exciting way to show Leader initiatives to other countries and also to local youth and villagers. It brings a much needed new approach to rural life. Notwithstanding this, the group for whom such an event is targeted has to be clear and the activities should be formed with that specific target group in mind. Leader areas in: Viisari, Ylä-Savon Veturi, Joensuu region and South Karelian Kärki-LEADER.